In the commodities markets, US crude oil gained $1.29 to $96.75 after the US Labor Department showed fewer claims for unemployment benefits last week. In addition, consumer confidence climbed to the strongest level in more than five years, spurring expectations of higher growth and an increase in demand for oil. Gold prices fell below the $1,200 mark to an almost three year low yesterday as the ongoing recovery in the US increased the appeal of global stock markets. Overall, the precious metal closed $25.5 lower, just about making it back above the $1,200 level, as its store of value qualities are being overlooked. Optimism regarding the US economy was hit by confirmation of weaker than estimated growth, which in turn sparked speculation that QE might be held at current levels. This caused WTI crude prices to edge higher, gaining $0.35 to $95.46, although oil stocks came in flat despite predictions of a draw of 1.8 million barrels. Gold prices continued slumping yesterday, posting another big loss of $52.7 to $1,224.6. This came despite worse economic data from the US, which would usually attract some buying interest. Whilst the dollar was stronger, we feel that the plunge was more a function of how out of favour the precious metal is with investors. Considering that the numbers for the US economy were higher than forecast, the price of WTI crude oil only rose marginally, gaining just $0.20 to $95.20. A stronger dollar might have counterbalanced the positive data, putting downside pressure on the whole commodities market for that matter. 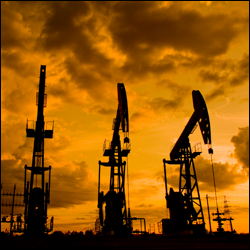 Later today, the US Department of Energy is anticipated to show a draw of 1.9 million barrels in inventories. Improving economic conditions in the US delivered another blow to precious metals as gold prices lost another $5.50 to $1,277. The slump now seems to have continued overnight as the market price crossed below the $1,250 mark, thus reaching another recent low, last seen on September 2010. WTI crude oil advanced $1.06 to $94.90 after news that three pipelines in Alberta were shut due to flooding, thus disrupting supplies. That managed to discard the bearish influence of an expected slowdown in the Chinese economy. Gold prices continued to slump yesterday on ongoing worries that the Fed might trim its stimulus programme and even end it in 2014. The precious metal dropped $14.7 to $1,282.5, also pushing lower as Goldman Sachs lowered its forecast through next year. Signs that the European economy may have emerged from its long recession were easily discarded by events on the other side of the pond. An ongoing strengthening in the US dollar has put downside pressure on US crude prices, which ended the session $1.11 lower at $93.82 a barrel. In addition, news of a slowdown in the Chinese economy is still fueling concerns that oil demand is in for a rough time, especially when overall supplies in the US are at multi-year highs. For once, gold investors were not discouraged by a stronger dollar as they stepped in to replenish gold in their portfolios. The precious metal gained $15.2 to $1,294 as bargain hunters won the day, encouraged by a slip below the $1,300 mark. A bearish outlook on China, the world's second biggest economy with its manufacturing slumping and worsening cash crunch was always going to adversely affect the energy sector. Already on alert due to anticipations of a continuing higher dollar, investors had to factor in a possible weakening oil demand in China. So, in tone with the rest of commodities, the WTI crude prices tumbled sharply, losing $3.22 to $94.94. Gold resumed its downside trajectory with a vengeance and seems to be truly out of favours with investors at the moment. The precious metal made a new recent low yesterday declining $73.4 to $1277.5 last seen on September 2010. Reiterating the possibility of reducing bonds purchases later this year, and even saying they may end during the middle of 2014 was undoubtedly bearish for the energy sector. US crude oil prices declined 66¢ to $98.10 as a result. However, factoring in the fact that inventories are now at an 82 year high, the fall did not look that bad. A higher dollar drove gold prices $17.2 down to $1350.8 as the precious metal resumes its downward trend. It looks like it's about to retest the recent record low. Talk that the US economy may strengthen and allow the Fed to reduce its asset buying program seems to suggest further trouble for gold investors. In commodities trading, expectations of a drop in US crude oil inventories following an increase in refinery activity pushed WTI crude prices $0.91 higher to $98.78 a barrel yesterday. This afternoon, the US Department of Energy will release its weekly stockpiles report but the conclusion of the FOMC meeting looks likely to hold greater significance. Gold investors continued to head to the exit on worries that the Fed will signal the possibility of scaling back their stimulus, which in turn could trigger another steep plunge for the precious metal. As a result, the price of gold fell by $17.1 to $1,367.7 and is currently not far from the recent lows. A rally in the stock market and a weaker dollar offered support to crude oil prices, although many traders in the energy sector seem to be waiting on the sidelines. Therefore, WTI crude only just managed to close higher, settling $0.15 up at $98.15, with developments later in the week expected to shape the short-term trend. Gold market participants do not seem to be convinced that holding onto the precious metal is currently the right option. As a consequence, the market has seen a drop of 17% since the beginning of the year. Investors continued that trend yesterday by pushing gold prices another $6.6 lower to $1,384.4, a sign that inflation concerns are not on the cards for now. Reports that President Barack Obama was ready to authorise arming the Syrian rebels triggered a rally in crude oil prices, sending WTI crude $1.16 higher to $97.80. In addition to the increased tensions in Syria, the market also saw some price support from the Iranian Presidential elections, a country with considerable oil reserves. Last time, these were anything but quiet. In gold trading, some slight inflation concerns were mentioned as the main driver for Friday's $5.8 rise to $1,390.2. The demand for the precious metal as a hedge against fear of higher prices was further increased by the IMF's worries about economic growth in the US.